If we see recent developments in the world, a large number of world countries have close relations with each other and their relations are based on mutual interests. In recent years, Afghanistan has increased its relations with regional countries in particular Arab countries led mostly by Saudi Arabia as Afghanistan is an Islamic country and would like to have brotherly relations with the Arab world. Now that Afghanistan peace process has entered significant phases and regional consensus in connection with peace and stability in the country has been created, the Taliban group whose political office is in Qatar is rejecting to hold direct talks with Afghanistan government. Taliban members are moving freely in Qatar, a country that has even been accused of supporting financially the Taliban and other extremist groups in the region. 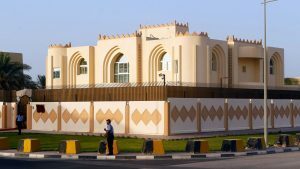 The members of the Taliban in Doha, capital city of Qatar, keep a low profile though they have been seen at mosques, shopping malls, and registering the birth of family members at the Afghanistan embassy in Doha. Their homes are stated to be quite lavish and are paid for by Qataris. On 5 June 2017, a quartet composed of Saudi Arabia, the United Arab Emirates (UAE), Bahrain and Egypt cut diplomatic ties with Qatar. The main reason cited for the severing of links was Qatar’s alleged financing and hosting of Islamic extremist groups, including the Taliban. According to the Arab Quartet, Qatar continues to support extremist and terrorist ideologies, and spread hatred and incitement in the region. Apparently, Qatar shows it’s supporting Islam and Muslims in the world, but in reality the country is one of perpetrators of spreading religious, sectarian and minority-related disputes in the region. Moreover, the respective country is due implementing Iran’s vicious programs that have created various problems in the region. The dispute that has seen Saudi Arabia and its Arab allies isolate Qatar stems from allegations that the tiny gas-rich nation is sponsoring extremist groups which are destabilizing the Middle East. This is not the first time Qatar’s neighbors led by Saudi Arabia have expressed their displeasure over its individualist foreign policy – diplomatic relations have been severed for the past few years. Tensions have arisen from Qatar’s support for the Islamist Muslim Brotherhood; its close relationship with groups such as the Taliban and certain al-Qaeda affiliates; and its relationship with Iran, which has most recently led to allegations from Saudi Arabia that the state-funded broadcaster Al Jazeera is supporting Houthi rebelsin Yemen fighting government forces backed by Saudi Arabia and the United Arab Emirates.Arabia views Qatar as an Iranian emissary in the Arab Middle East, and the Saudis also speak of Qatar’s interference in the internal affairs of Arab countries. Now, it is time that Afghanistan government should make effort to convince the Islamic countries to bring the Taliban group in negotiating table with the government and spoil vicious plans of some countries supporting Taliban and other terrorist and extremist groups in the region. 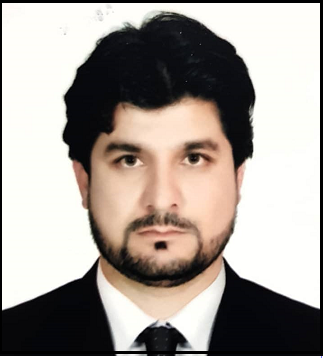 Taliban, fighting against Afghanistan government and its people, should also free themselves from trap of intelligence networks of regional countries and hold direct talks with Afghanistan government to end the 17-year old war in the country. Taliban should also make use of the penetration of Saudi Arabia, leading and representing the heart of the Muslim world, instead of Qatar as Saudi Arabia has always had deep and good relations with Afghanistan and its Muslim nation.